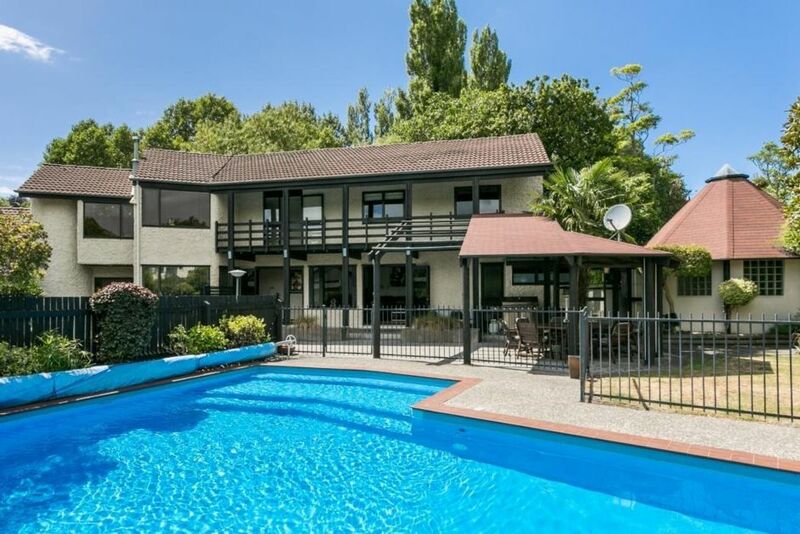 Extremely private large house tucked away down Prestigious McHardy Street. A short walk to the Village and all the local restaurants. Bike trails not far away and bike hire in the village. Te Mata Peak close by and local wineries not far away. Relax by the large in-ground pool or out the back of the property overlooking gorgeous native trees - listen to the native birds while you enjoy breakfast on the deck. We have many Tuis who love to come and say hello along with a multitude of other native birds. Great for large or multiple families. 3 seperate living areas so the kids and adults can have their own space. Full gas central heating radiator system so super cozy during the winter months. Great location only 1.5km to the Havelock North Village. Very private house with lovely bush outlook and private outdoor areas. In addition to casual dining in Kitchen, there is a formal dining room that seat 10. House was amazing and location was great, so close to town. Great house, worked really well for our 2 families and children. Wonderful house. Great pool. Lovely layout with lots of living spaces for kids and adults. Really responsive host, lovely to deal with. Great location.